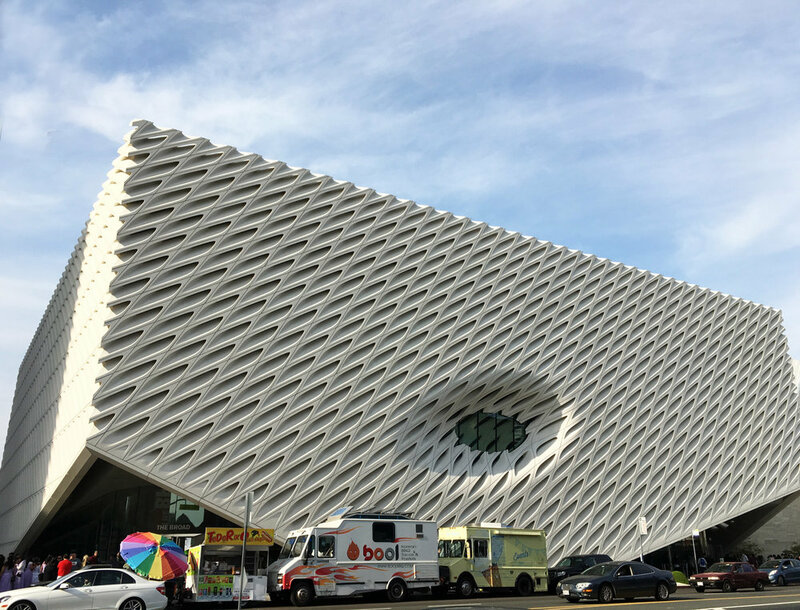 the broad museum built just a year ago has one of the most significant collections of postwar and contemporary art from all around the world. its exoskeleton is like a shell wrapping around the whole body, and its cave-like appearance contrasts with the concrete-made interior structure. standing right next to frank gehry’s walt disney concert hall, the architects’ purpose wasn’t to compete. the hall has a shiny, asymmetric and volumed exterior while the broad consists of a smooth and spongy surface allowing light penetrate inside. 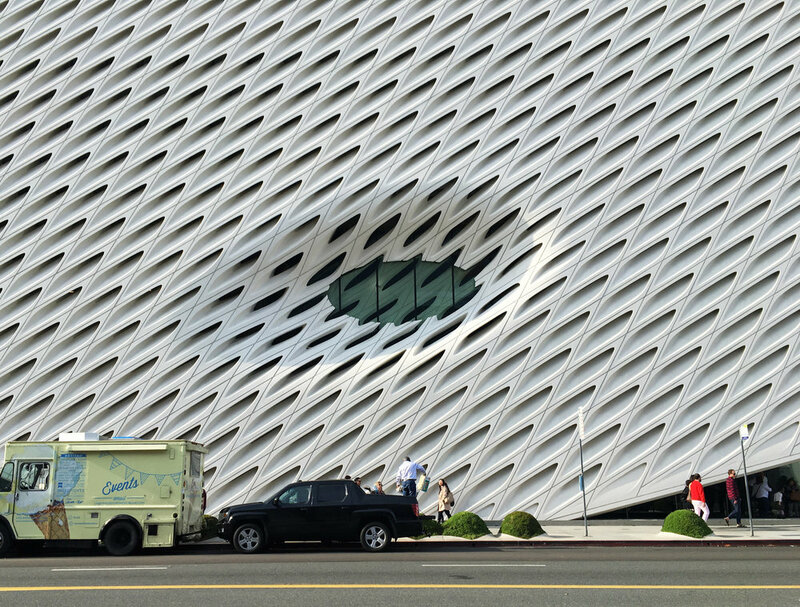 it's always bringing change and freshness to the art scene of the cities to have a completely new museum—especially if it has a building like this one.